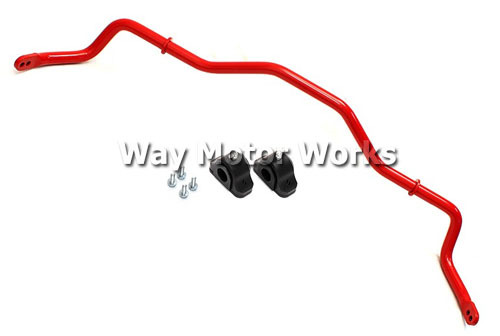 Neuf Fiat Front Anti Roll Bar or Sway Bar for Fiat 500, Turbo, and Abarth. Neu-F Front Anti-Roll Bar is made from aerospace grade steel material with remarkable shape memory and is formed utilizing CNC Mandrel bender which ensures smooth bends, accurate shape and consistency through out its length. The bar also features forged ends with 2 hole for a 3-way adjustability that allows suspension to be finely tuned for optimum handling balance. Also Included are Neu-F billet aluminum 7075-T6 CNC machined sway bar bushing clamps with a black hard anodized finish for durability. 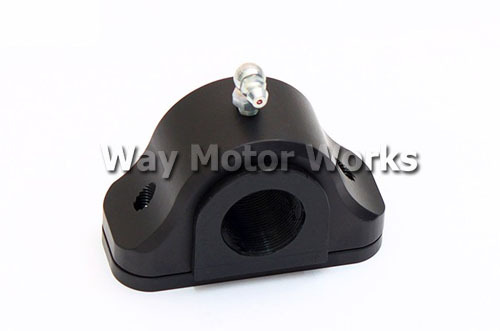 The billet clamps are equipped with grease fittings which allow users to re-grease the bushings with ease. The low resistance, graphite impregnated urethane bushings round out the package. The Neu-F Bars will improve cornering potential due to increased front/rear roll stiffness that offers definite track advantage over stock anti-roll bars. Increased slip angle will allow power to be applied earlier during corner exit. 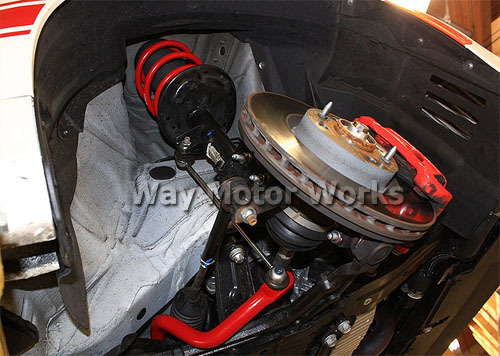 This Front Fiat Sway bar is 25mm, the original factory Fiat bar is only 22mm in diameter. This makes the Neu-F bar 67% stiffer than the factory Fiat bar.